Starts are always in demand because the fans and the press love to see them. That’s one of the reasons why our favorite stars endorse products. Popular south Indian actor, Kajal Agarwal, was a part of a meet and greet event for Bru Coffee in Chennai, recently. Let’s check out her look at this event. At the event, the lovely lady wore a Rimple and Harpreet Narula creation, a pastel green Anarkali suit in which she looked very graceful. 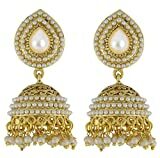 To complete her look, she wore a pair of Amrapali jhumkas and no outfit is complete without the perfect pair of shoes. 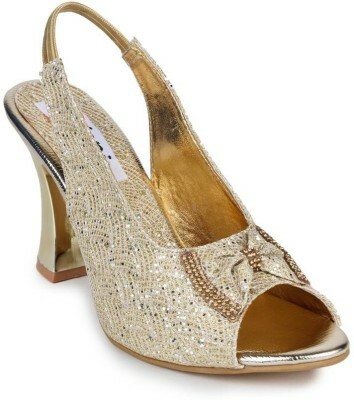 She selected a pair of golden heels. This star knows how to carry off both Indian and western wear with ease. So the next time you need to attend a function or an event, don’t shy away from selecting an Anarkali dress because it is no less than any other outfit. Thank you for reading. Do subscribe to our website for more trend updates.